If you are new to the world of nootropics, then the best nootropic to start with is the combination of caffeine and L-Theanine in capsule form, as caffeine l-theanine stack. Nootropics are naturally occurring compounds that are used to enhance brain activity and increase mental alertness. In fact, both of these are vital parts of most nootropic medicines and are therefore quite potent regarding the results that they provide. Caffeine is widely known as the dominant element found in coffee and can have a great impact on a person’s mind. L-Theanine, on the other hand, is the dominant feature found in green tea and produces an alert mind. A combination of the two has a huge impact on the way the mind works and makes people extremely alert. The best way to avail these naturally is by consuming coffee and tea. Although it might sound unsettling to consume both at once, you can consider drinking green tea 30 minutes after consuming coffee or vice versa. Either way, your body will have the chance to take advantage of the benefits of both of the compounds found in these beverages. If you are not a coffee or tea drinker, then you can always settle for supplements. Both of them are available in supplement form and can be consumed to utilize their positive effects on the mind. Caffeine and L-Theanine supplements are both readily available over the counter and can be consumed orally to avail mind-altering effects. 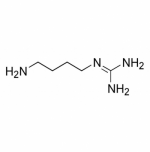 L-Theanine, predominantly found in tea, is known to increase the level of GABA in the brain. GABA is a neurotransmitter that effectively calms a person down and at the same time enhances brain activity. This molecule is stronger in green tea and because of this is prescribed as a solution to anxiety and depression. Just a small amount of green tea can have a calming effect on the mind and make the person quite alert. Research has proven that tea helps in keeping you awake and your mind alert. You achieve the same effect by consuming supplements. Caffeine has properties that energize the mind owing to the positive effects it has on it. A person will feel alert and active in no time at all, and also experience a physical boost. When the two combine, they leave a lasting effect on the person’s mind. These two naturally occurring nootropics work towards enhancing the person’s mental alertness and dismiss the effects of anxiety and stress. The combination effectively eliminates the adverse effect of just caffeine and improves a person’s ability to focus on a task in a better manner. The tiredness that most people feel at the end of the day is effectively eliminated, and the person feels quite energetic throughout the day. Caffeine, in combination with L-Theanine, can be extremely effective in many ways. Here are some effects it could have on the mind. The main function of the caffeine L-Theanine combination is to induce alertness. Together, they help a person remain alert. It is best to consume the supplements in conjunction, as that enhances its effect on the brain. Although standalone caffeine has similar effects on the mind, in combination with L-Theanine it becomes a lot more potent and is easier to control. Recent scientific work has also linked caffeine to memory enhancement. The combination is said to enhance cognitive behavior. Cognition refers to the learning ability of a person. Learning ability determines a person’s ability to intake a piece of information and put it to use. With regular consumption of the supplements a person can effectively enhance his or her learning ability. Caffeine L-Theanine as a stack is also used to enhance physical activity. It is a natural blending that many athletes use to increase their physical stamina. Consuming some of it before a sporting event can help in improving one’s performance. The mixture of Caffeine and L-Theanine is said to increase digit reaction time. This means that you will be able to move your fingers at a brisk pace after consuming the merger of these two supplements. This merger is great for those looking to increase their typing speed. The blend also helps with rapid visual information processing. Understanding optical signals in a better manner and interpreting them the correct way is crucial to daily living. The blend can massively aid in keeping the mind alert and ward off mental fogs. This combination is also known to help with improving memory to a large extent. Those who consume coffee or tea on a regular basis already have a good chance at remembering things better as compared to those who do not have the same. There limited side effects of the supplement, when taken in recommended dosages. However, some rare side effects might include headaches, nausea, and vomiting if a person consumes too much of these supplements. It is important to consume them in moderation and stick to the recommended dosage. One drawback is that it has very minimal bioavailability which means that the body will not be able to process the supplements fast enough and causes them to leave the body rapidly. One other drawback that you might want to be wary of is that it can leave you sleepless. As most of us know, both caffeine and L-Theanine are capable of keeping the mind alert for a long time; so, it is best to consume it early in the mornings. There is no set dose for this supplement but anywhere between 100 mg and 400 mg per day is recommended.3 It is best for you to perform a trial and error to draw upon the right dosage. You can consider increasing or decreasing the dose depending on the effects on your mind. If you think it is not doing its job, then you can also consider trying the combo with green tea. The supplement is mostly prescribed to those looking to enhance their mental alertness. It is known to help with keeping the mind alert and so, can be used to improve concentration. It is also prescribed to people looking to stave off stress, anxiety and depression. Although you might not be able to see a radical difference, you will have the chance to experience a calming effect on your mind. This nootropic combination is safe to use and does not react with other products. However, it might reduce the effect of certain pharmaceuticals and so, it is best to consult a physician before using the supplement if you are taking any prescription medications. 224 queries in 1.853 seconds.